MELBOURNE, Nov 8 (Reuters) – Global miner BHP Billiton will meet its iron ore commitments to customers despite a supply disruption after it had to derail a runaway ore train in Western Australia, Chief Executive Andrew Mackenzie said on Thursday. 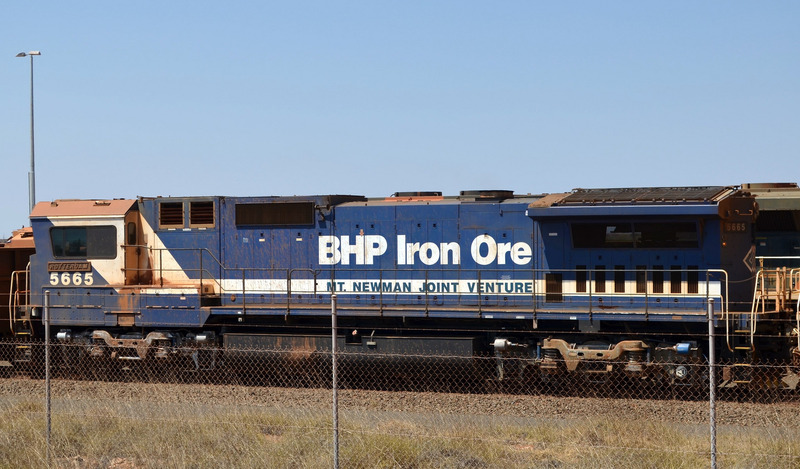 The miner suspended its rail operations after the incident on Monday that wrecked track and left a locomotive and wagons upturned nearly 120 km (75 miles) south of Australia's iron ore export hub of Port Hedland. Asked whether BHP would invoke force majeure, Mackenzie told media after the company's annual general meeting in South Australia that he did not expect the miner would let down any of its customers. "We will have the ability to supply our customers as we have been contracted to do," Mackenzie said. Force majeure is a clause in a contract that allows either party not to fulfil the contract terms when they are affected by an extraordinary event or circumstance beyond their control. BHP said this week it would use stockpiles at Port Hedland to maintain its port operations, but that the reserves were not expected to cover the entire period of disruption. "We have got about 130 people working night and day to get this fixed," Mackenzie said. "We have got about 130 people working night and day to get this fixed." "We are continuing to mine so we will have good stocks at the mines as soon as the rail fully opens … and we believe that with the recovery plan that we have, which is within a week, we will not be letting down any of our customers." BHP was investigating the cause of the accident and was in "constructive discussions" with regulators about restarting its rail operations, he added. "We lost control of a train. We monitored what was going on through our remote control centre in Perth. We let it go through a number of points in the hope that it would slow down on its own," he said. "As soon as it became a risk to bridges and trains in front, we derailed it … we were able to do it in a controlled way and keep everyone safe." Mackenzie also said BHP's Olympic Dam copper operations in outback South Australia state were running again after a failure at an acid plant in August and remained a core part of its business. The miner said in August that Olympic Dam was the only part of the business not delivering "an acceptable return on capital," raising speculation about a possible sale. However, Mackenzie said the development of the world's fourth largest copper body into an underground mine would give better exposure to uranium, which some investors see as ripe for a recovery given plans by China and Japan to build new nuclear reactors. "If there is this renaissance in nuclear power you have phenomenal amounts of uranium … I see that as very attractive," he said.